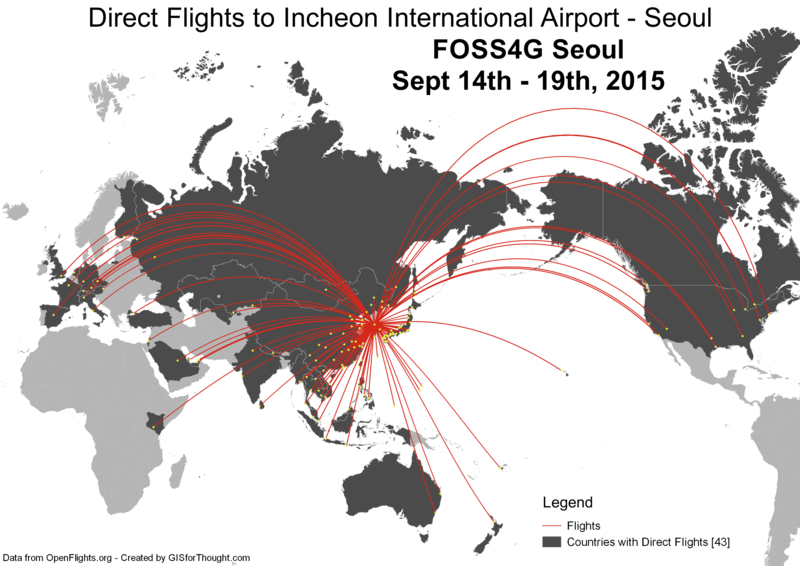 FOSS4G Seoul is accessible via a direct flight from 42 countries. This entry was posted in All, PostGIS, PostgreSQL on 12/29/2014 by Heikki Vesanto. Follow up from the Glasgow post by request. 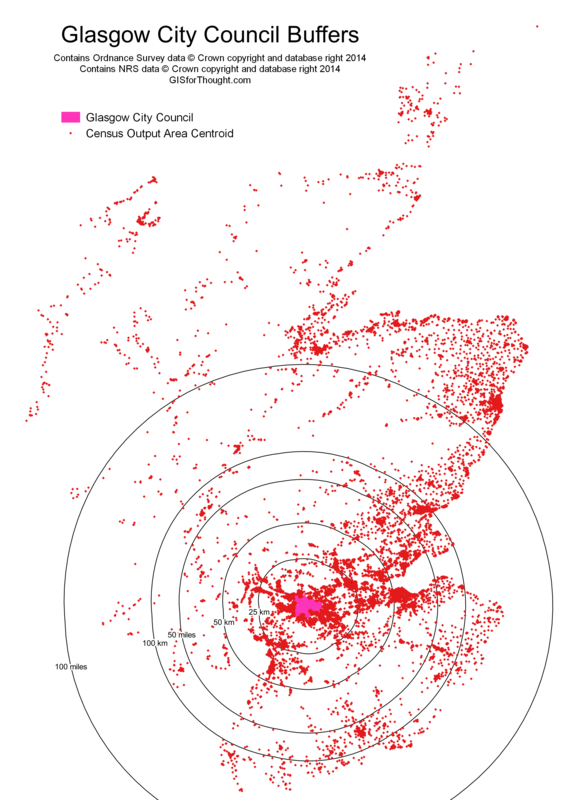 This is a pretty easy question to answer, using the 2011 Scottish Census population results and the Census Output Area Population Weighted Centroids. Then we get the extents of Edinburgh City Council from OS Boundary Line. So we see more than people live close to Glasgow, but with 50 miles + they are closer to the capital. 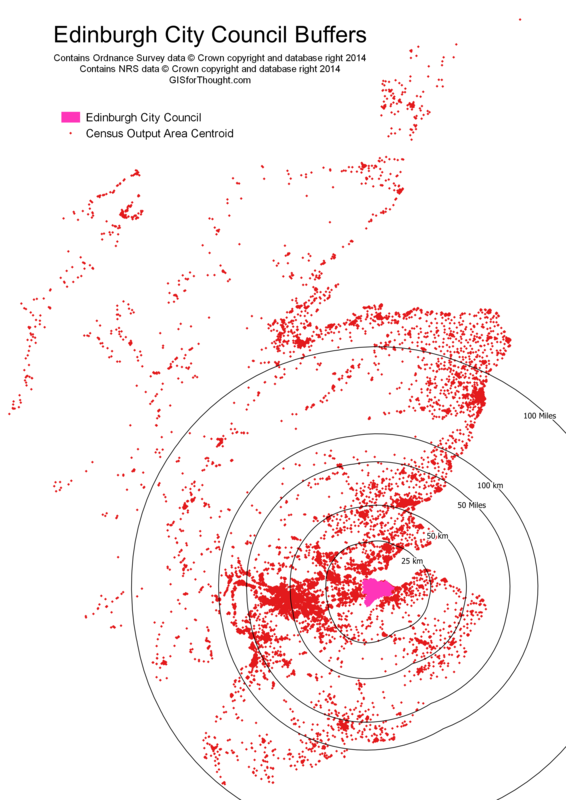 We are using the population weighted centroids, which will produce some minor inaccuracies, but is a very good generalisation. Also we are using euclidean buffers on the British National Grid plain, so these are not geodesic buffers. The difference will likely be small at these distances. This entry was posted in All, Data, Maps, PostGIS, PostgreSQL, QGIS, Scotland on 12/19/2014 by Heikki Vesanto.